Relax with a relaxing table and chair full of warmth of wood. In order to make you feel at home relaxingly, you can refrain from entering or exiting the room of the staff. 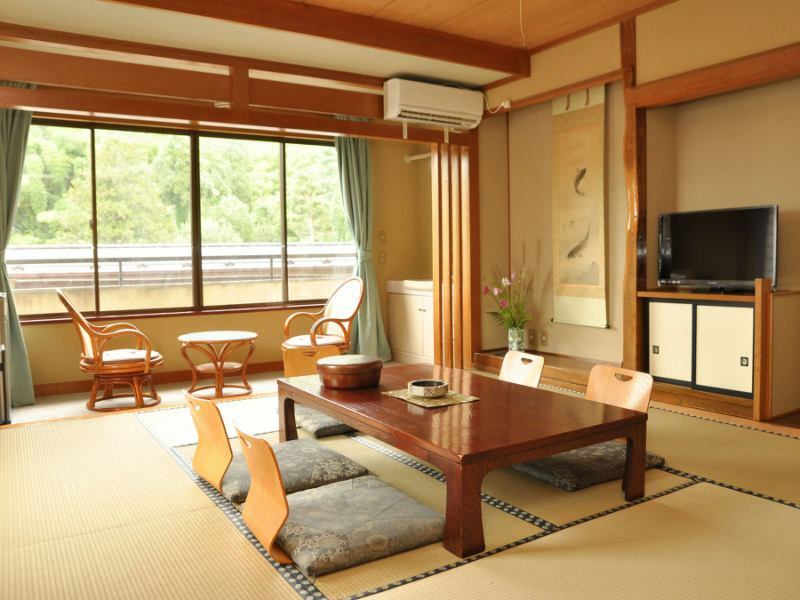 【Room example】The layout, view, facilities vary by room. 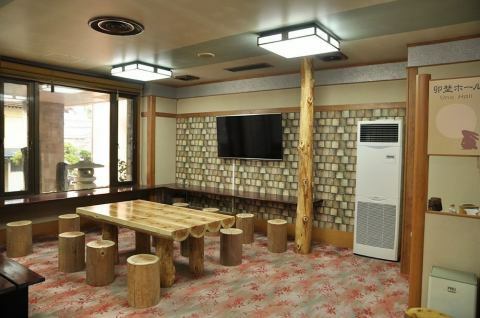 It is a room that you can use for groups such as families and groups, as well as for guests using two people. The layout, view, facilities vary by room. Please enjoy the four seasons of Yudagawa surrounded by nature. We welcome you with a hearty welcome.Please relax and unwind. There is a relaxing space in the hall on the 4th floor, the 5th floor and the 6th floor. Customers who wish to bet can accommodate up to two, so please apply at the time of booking. Yudagawa Onsen called Tsuruoka's Okuzaki Yudagawa Onsen has been counted as one of Shonai Top Three Famous Onsens, and is known as a Yudagawa Onsen of rich nature and full of humanity. Origin It is a fresh natural hot spring. Please feel at ease relaxing mind and body and the goodness of hot water quality. 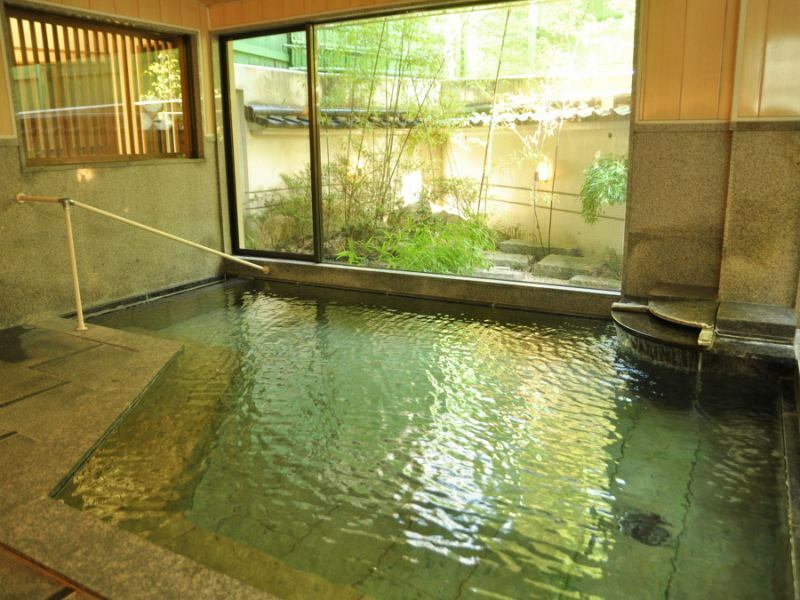 【Large Communal Bath/Warai-yu】Yudagawa Onsen is one of Shonai Top Three Famous Onsens Yudagawa Onsen.Trout fountain in the fountain quality of Trotoro! Regular holiday, None.Basic Open daily. In the daytime business, it is only a day trip plan (reservation) and a day trip hot spring. Customers wishing to take a break in the room, please apply for a day trip plan. For breakfast from 11:00 to 14:00, break room, bath, meal will be served. One person, from ¥ 4000 (hot spring tax included, excluding consumption tax).Thank you. 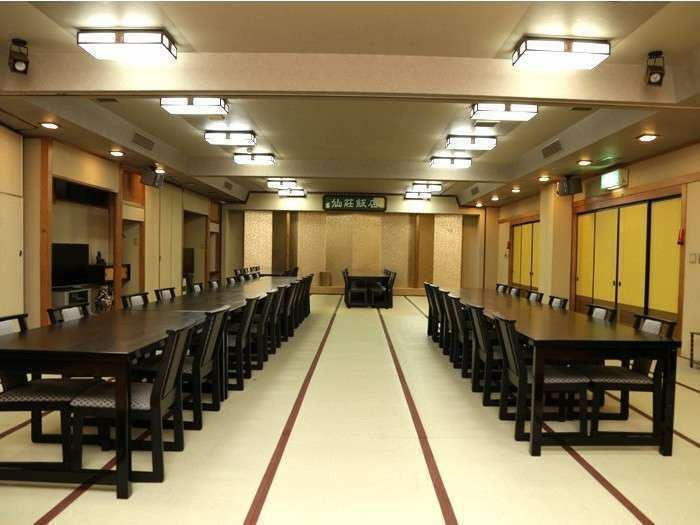 Meals will be served on the 3rd floor of Senso Hanten. The wall is mobile and it will be a large banquet hall of up to 218 square meters.Normally we will prepare it with a table and a chair. Also equipped with audio equipment.In addition to business scenes such as meetings, meetings and seminars, you can use the venue according to the purpose and number of people you use, such as New Year's party and celebrations. Banquets can be prepared in either Japanese style or Western style.Please contact us.